The signs of spring have been sparse here in North Dakota. It’s April. There is still snow on the ground. The daytime temperatures have just creeped above freezing, only to fall back below zero during the night. Each morning the walk to school is different with street glaciers changing their size and position and ice puddles glistening in the light, refusing to reveal their fragility by mere sight. But this morning was different. 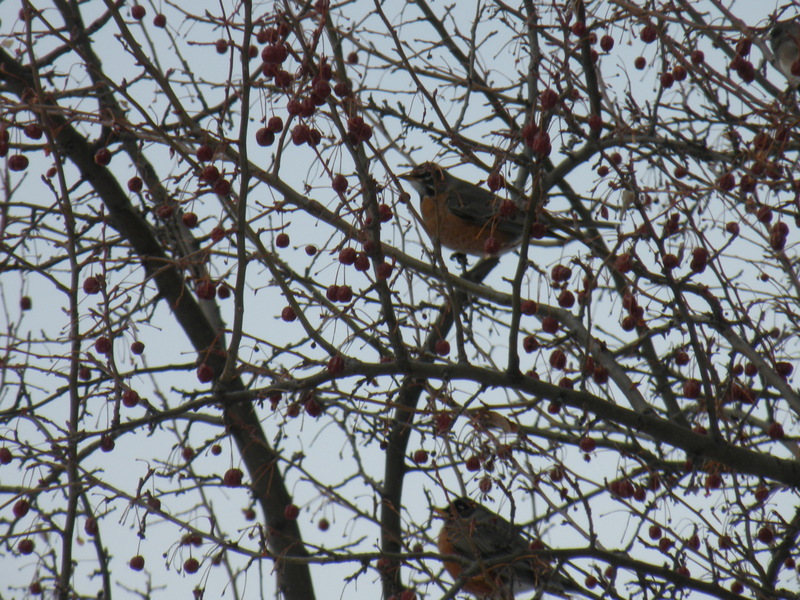 Not only has the crunch of the snow gotten louder, but the sound of the skies have changed– there are birds! 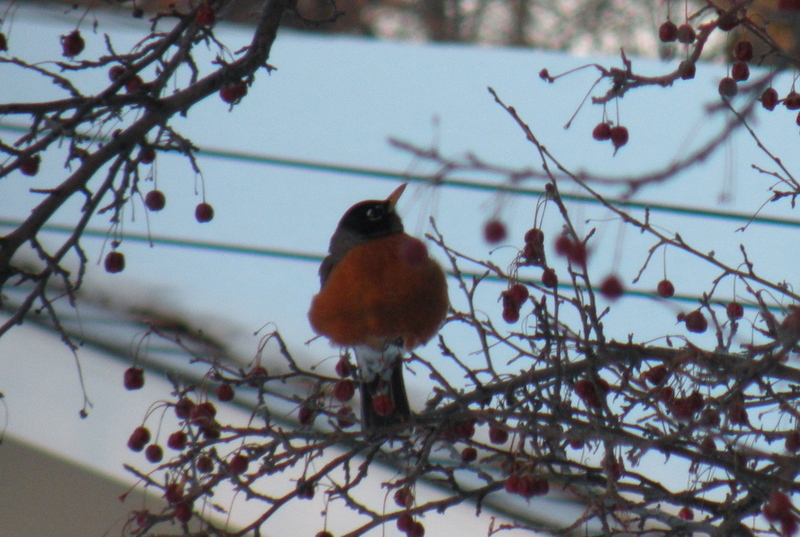 American robins are fluffed up big, but still present. Singing their delightful song that is easy to take for granted. They were moving slow through the trees, but nonetheless, they were here! Posted in Appreciating the Moment, Nurturing Nature and tagged birds, joy, life, nature, north dakota, spring. Bookmark the permalink.